Saturday night has stolen the spotlight for far too long. Not only are most weddings held on Saturdays, forcing many attendees to choose between several invitations, but that day of the week can also limit your venue, pricing, and accommodations due to its high demand. There are so many fun activities you can plan for the whole weekend, from wine tastings mid-day to late-night roasts. Think of Fridays and Sundays as the new popular days of the week, and read these tips to learn just how much you can do to make your occasion that much more special! Everyone loves Sunday brunch, so why not incorporate that theme into one of the happiest days of your life? Following a morning service, lead guests to a bustling brunch buffet, complete with mimosas and a mid-day dance party experience for everyone to enjoy. Having a party during the day means you will have more energy and sunshine. You can even offer a sweet-filled waffle station for dessert, an omelet station for the main staple and a bloody Mary bar for sips! 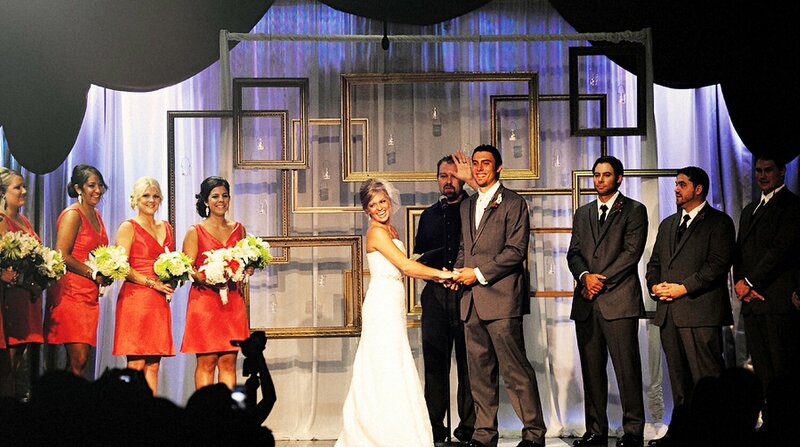 By planning a wedding on Friday or Sunday nights, you can create other festivities for guests surrounding the event. Apart from the traditional rehearsal dinner, turn Saturday into a whole day of excursions! Perhaps taking in some mini golf, a bike ride, boating or site seeing as an afternoon activity—whatever it is, you’ll have time to relax and steal some more quality time with everyone. Most venues up their prices on Saturday nights for private events and weddings, due to its high demand. By choosing a less busy day, you can broaden your range of options and really find a venue that suits your budget, style and imagination. Give your wedding a theme that fits your personality and seek out cake decorators, florists and bands or DJ’s that meet those criteria. You might also be able to get some discounts, as most vendors are more accommodating on those less busy days in order to get additional business! By taking advantage of these features, you can easily plan your dream wedding! TGIF is real—and what better way to celebrate the upcoming weekend than with a wedding? Come Friday, all we want to do is have some fun and put work behind us for a few days. By planning a wedding for a Friday evening, you can guarantee guests the ultimate party package and a night that you will all remember forever. Lead guests into a cocktail hour with hors d’oeuvres prior to the service, and let them unwind after a busy workweek. Then follow that up with a rocking reception! Your guests will be counting down the minutes to exiting those office doors!